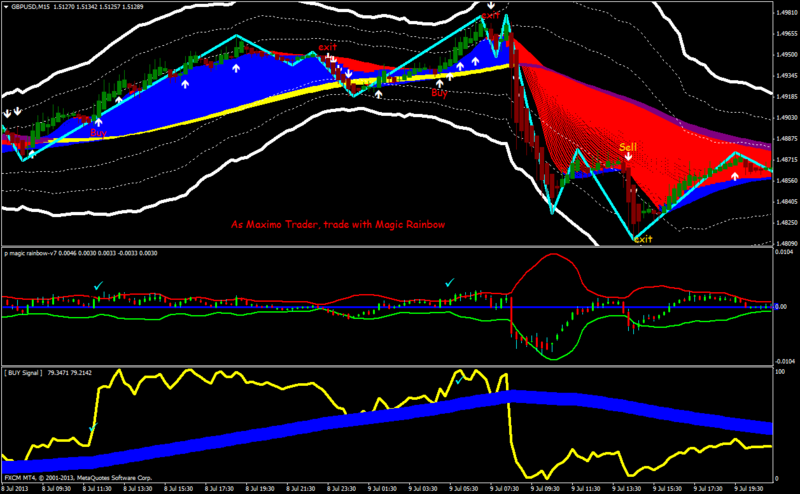 Submit by Freddy 11/07/2013 Written by HigHBahagia but Maximo Trader has applied another trading style. 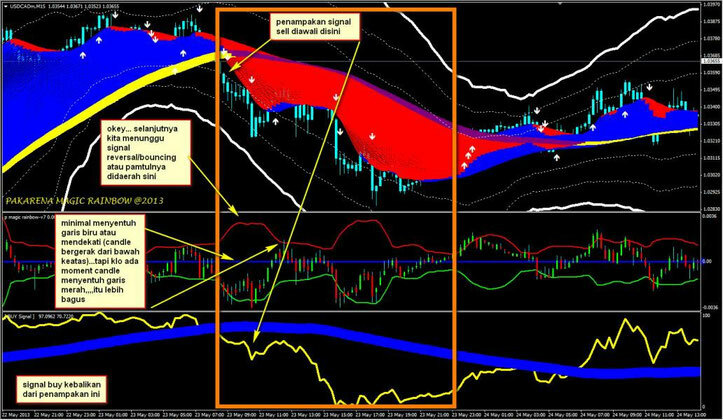 This Trading system is based on the rainbow metatrader indicators. Buy arrow above Yellow line. P magic rainbow-v2> blue line (Buy Zone). P magic rainbow-v7 candle >0. Do not trades when there are yellow line and red line. 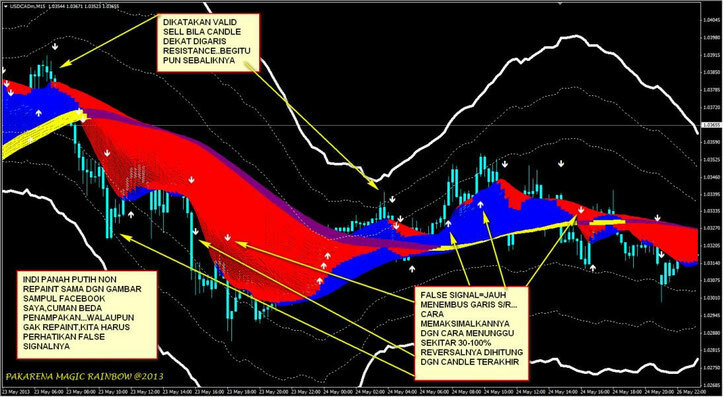 Sell arrow belw Purple line. P magic rainbow-v2< blue line (Sell Zone). P magic rainbow-v7 candle <0. Do not trades when there are purple line line and blue line. Profit Target time frame 15 min 15-20 pips. 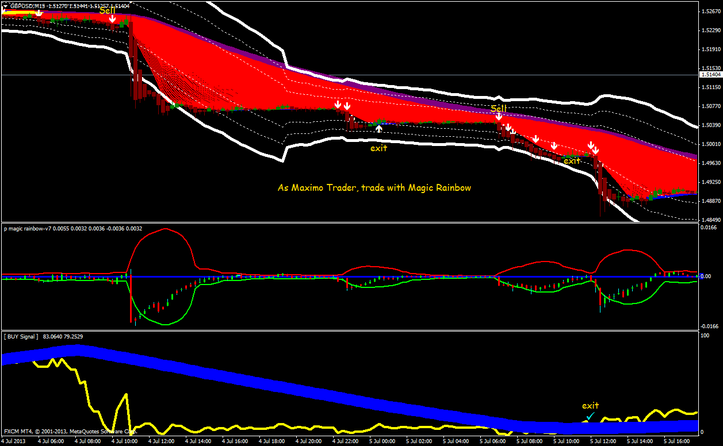 In the pictures belowRainbow Magic Trading System in action. Trading Style Maximo Trader. My Metatrader has difficulty to show the template, and the platform almost got stuck. hey it's works, i make money 10000 $ a day using this usefull method. thanks, keep works dude.